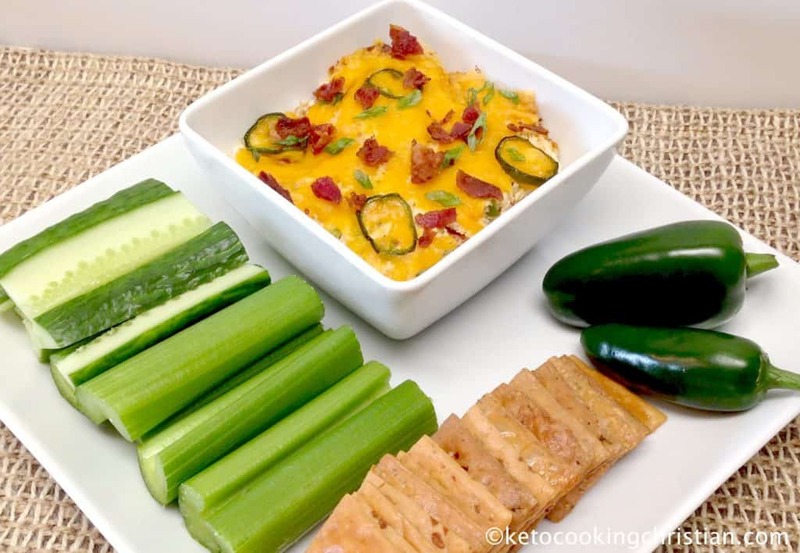 The great flavor of Jalapeño Poppers, turned into a dip and served with fresh veggies or Keto friendly crackers! 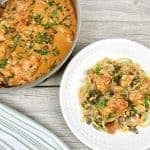 Perfect for your next party or game-day! 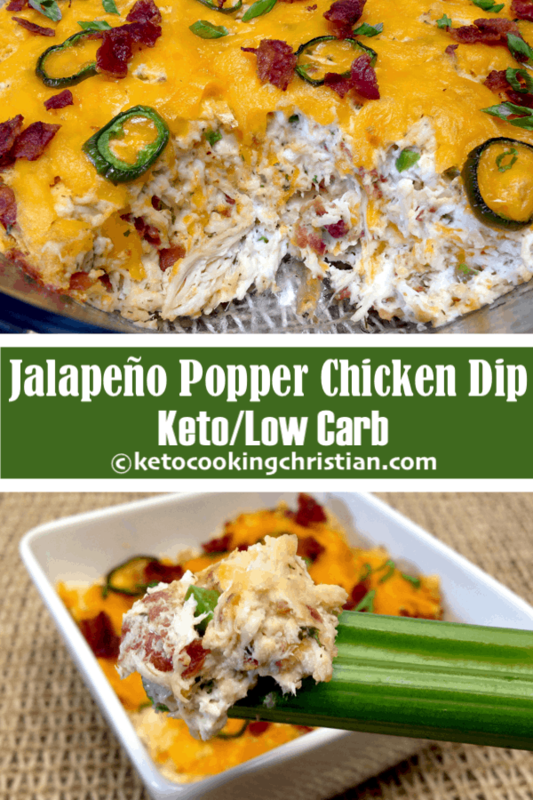 I recently made Bacon Wrapped Jalapeño Popper Chicken and had some leftover jalapeño’s that I had to put to good use! 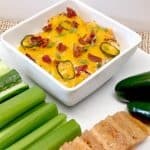 It has all the same flavors, with the addition of my Bacon Ranch Dressing & Dip and melted cheddar cheese made into a dip! 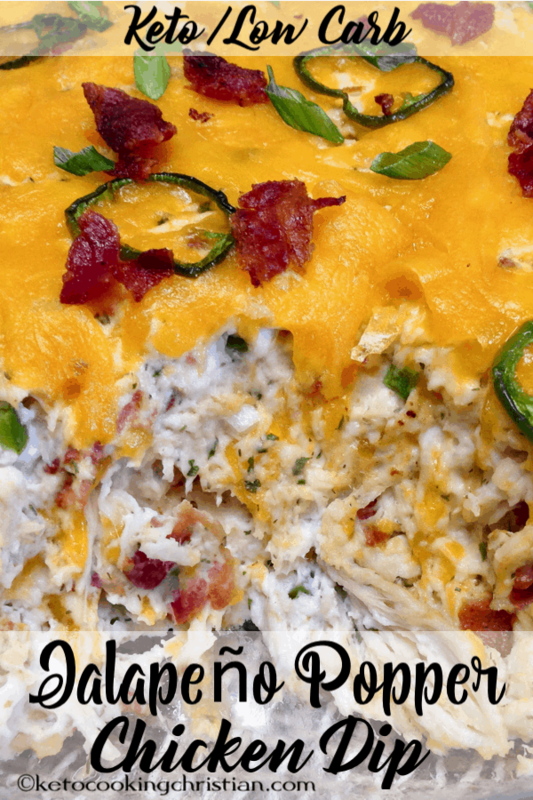 This jalapeño popper chicken dip is so easy to make and tastes fantastic! 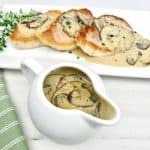 It’s perfect to serve at your next get together and even your non-Keto friends and family will love it! 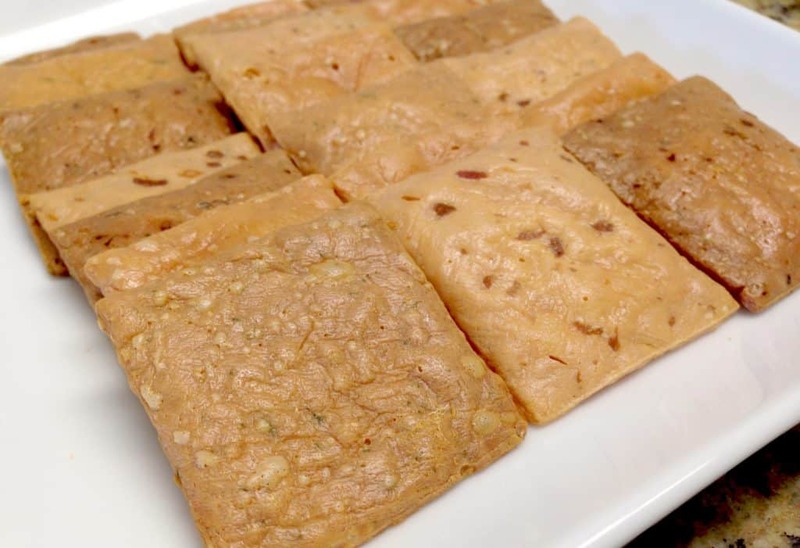 You can serve it with celery and cucumber sticks, homemade cheese crackers, my Everything Crackers or pork rinds. 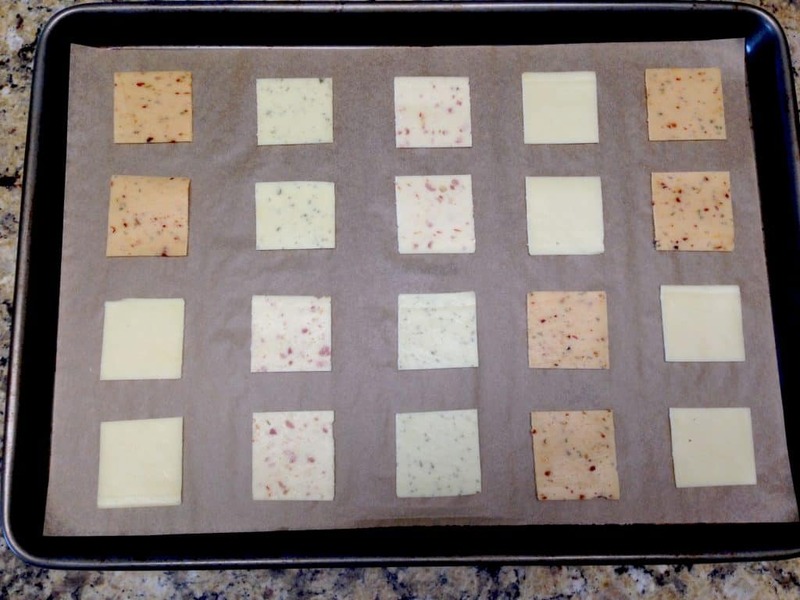 I have a really easy way to make cheese crackers, and I’ve included detailed steps and pics below! In a mixing bowl, add the cream cheese and whip up a little. Then add in the bacon ranch dressing, sour cream, parsley and garlic salt, and mix until well combined. Set mixture aside. In the bowl with the chicken, add in the shredded cheddar, but reserve 1/2 cup for the topping. 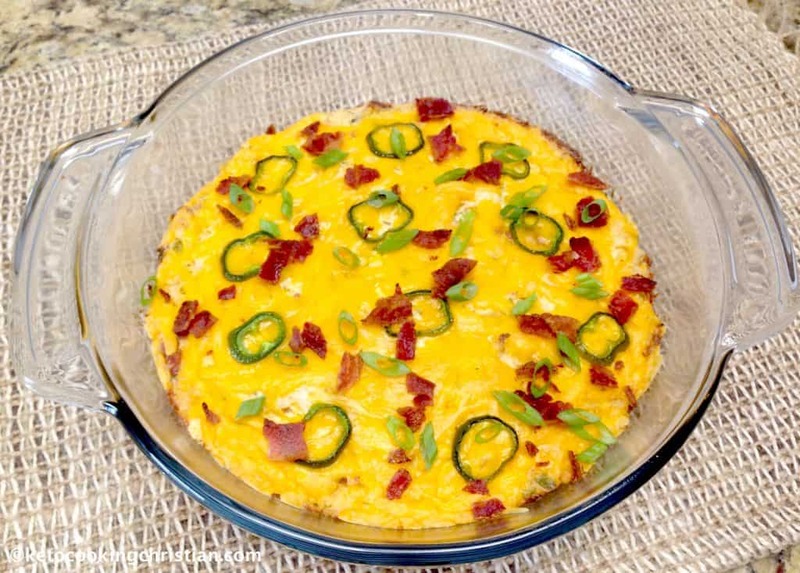 Add in the bacon and jalapeño, but reserve a little of both for the topping and garnish. Toss by hand, then add in the cream cheese mixture and mix until well combined. 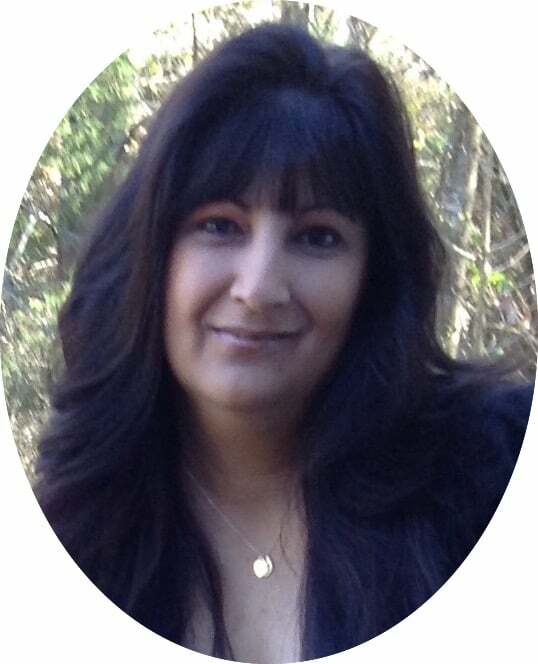 Pour the mixture into a baking casserole dish, sprayed with non-stick spray and spread evenly. 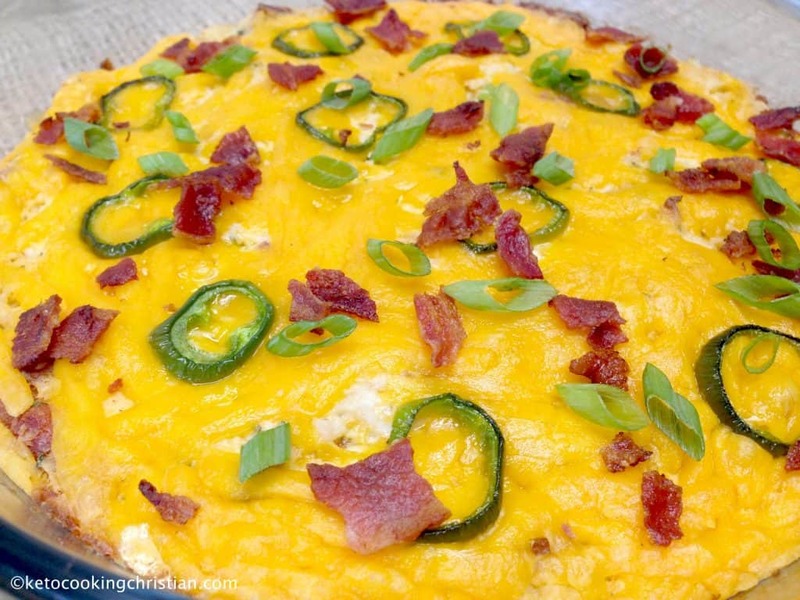 Sprinkle the reserved 1/2 cup of cheddar cheese and some of the jalapeño slices over the top. Bake for 20 minutes at 375F, or until the cheese is slightly golden brown. Bake an additional 5 minutes at 400F. 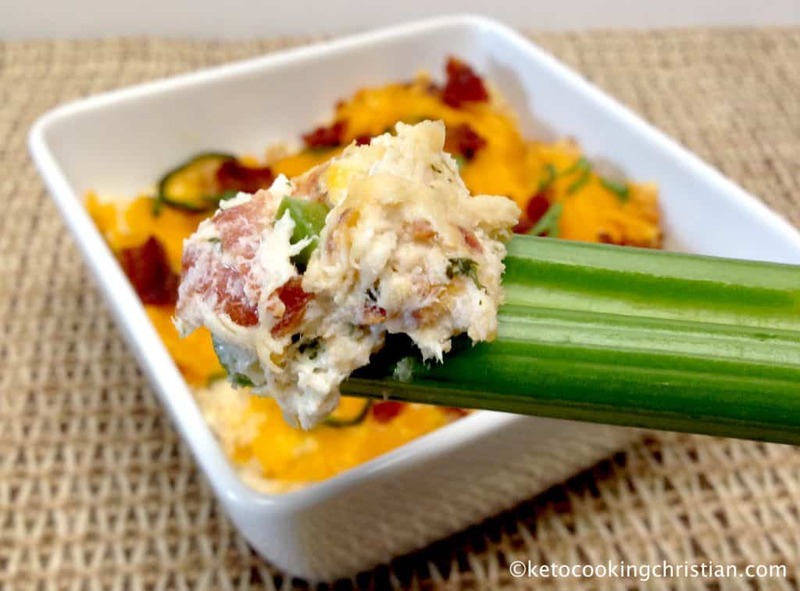 Allow to cool slightly, then garnish with the remaining bacon before serving with celery or cucumber sticks, pork rinds or make your own cheese crackers! 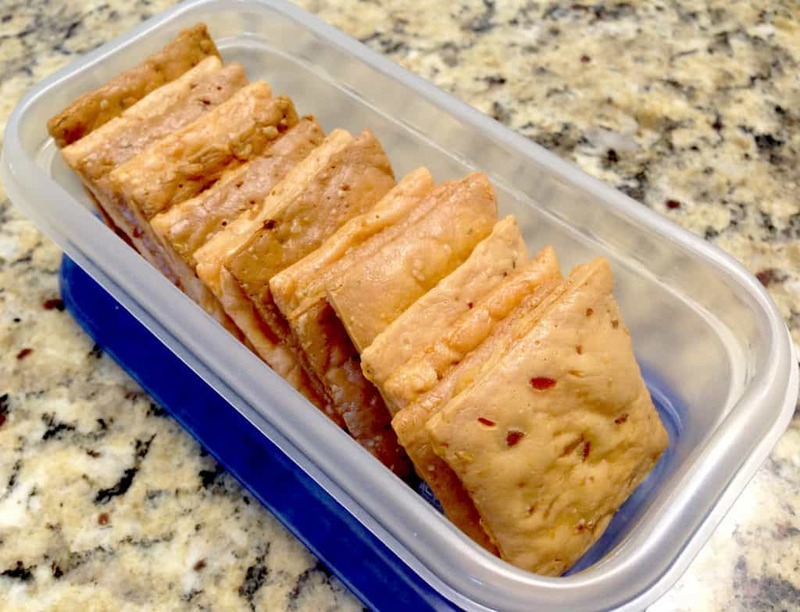 To make these crackers, I used Old Croc Cheddar Cheese Variety Slices and they are fantastic! I bought mine at Walmart, so they’re pretty easy to find! I cut these slices in half and place them on a baking sheet lined with parchment paper. You can place them fairly close together because these do not spread. Bake them at 325F for 25-30 minutes. They really hold up to dips! Store at room temperature in an airtight container for a few days. 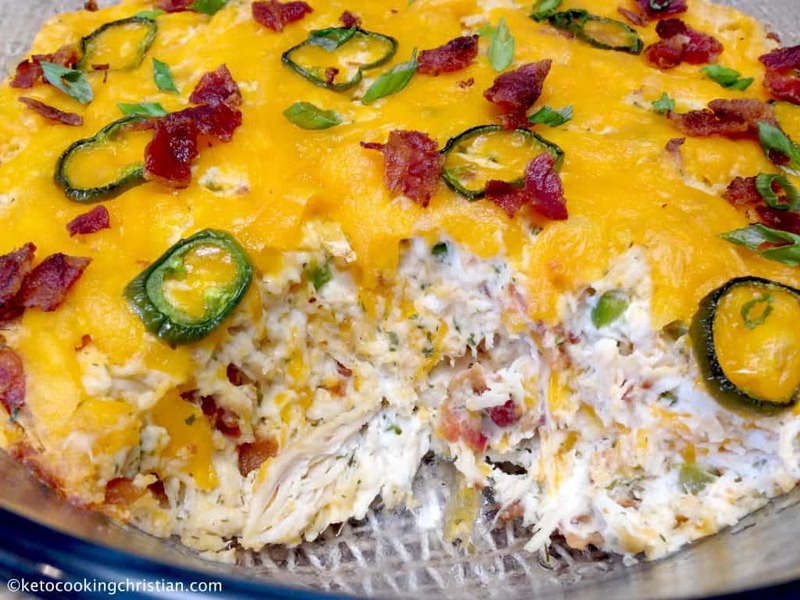 So here is how my Jalapeño Popper Chicken Dip turned out! Preheat oven to 375F. 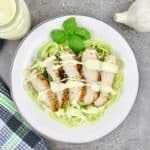 In a mixing bowl, add the cream cheese and whip up a little. Then add in the bacon ranch dressing, sour cream, parsley and garlic salt, and mix until well combined. Set mixture aside. Bake for 20 minutes at 375F, or until the cheese is slightly golden brown. Bake an additional 5 minutes at 400F. 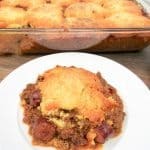 Allow to cool slightly, then garnish with the remaining bacon before serving with celery or cucumber sticks, pork rinds or homemade cheese crackers. 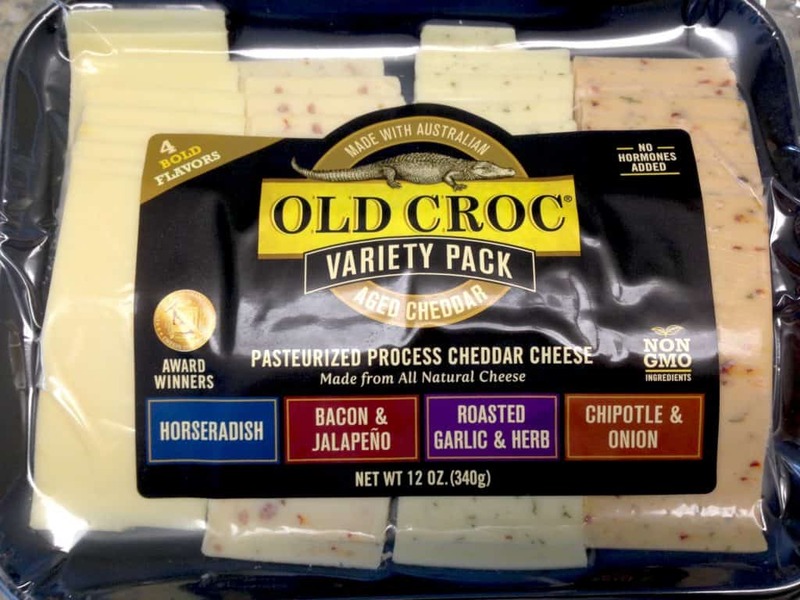 To make the cheese crackers, I used Old Croc Cheddar Variety cheese slices. 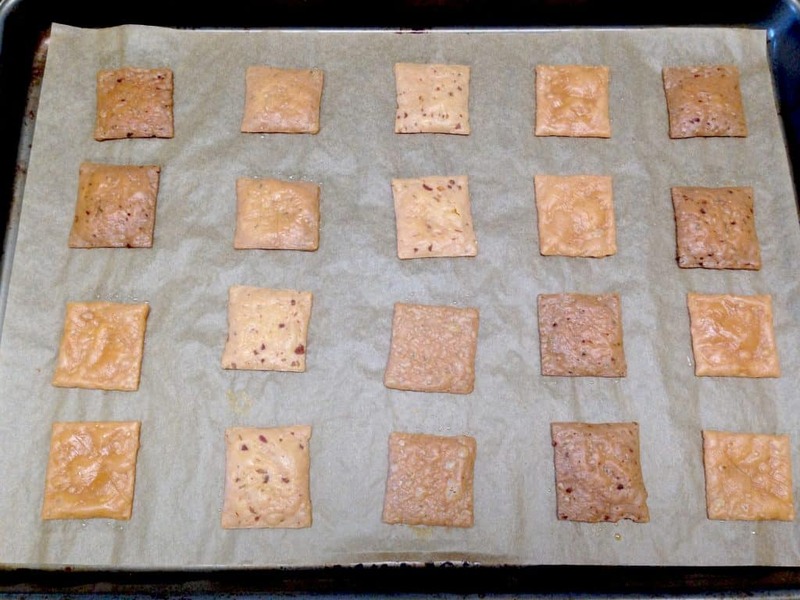 Cut them in half and place them on a baking sheet lined with parchment paper. Bake for 25-30 minutes @ 325F. Store in an airtight container at room temperature for a few days.